In writing this blog, multiple people have told me that every time they see all this unhealthy food I’m eating, they cringe at what it must be doing to my health. 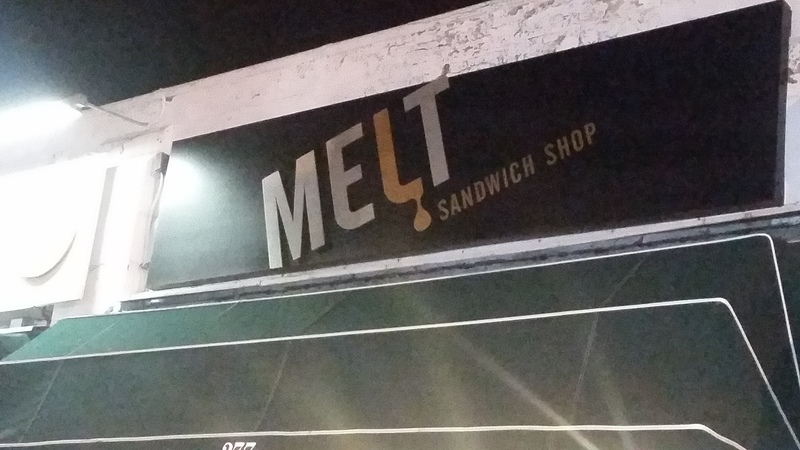 So for today’s review, we are going to go a slightly more healthy route (but only slightly); Melt Sandwich shop is primarily known for their Sandwiches (it is after all in the name), but they just so happen to make a mean Wedge Salad as well. Melt’s Wedge Salad is made up of iceberg lettuce, smoked bacon, crumbled bleu cheese, and bleu cheese dressing, all of which had a strong presence in this salad. 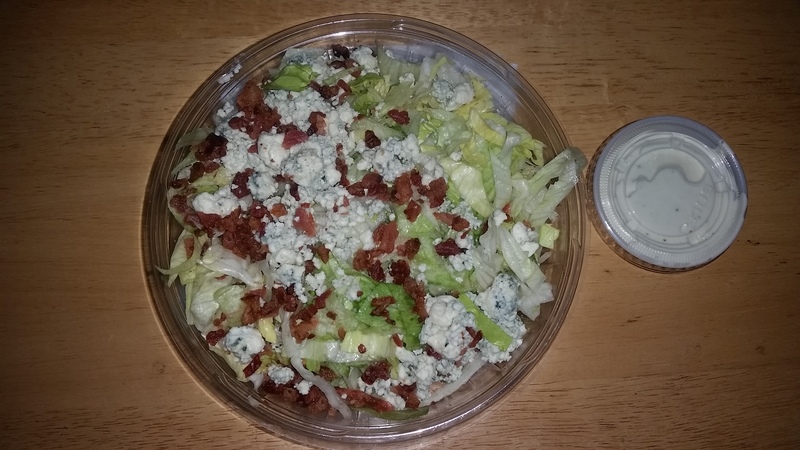 For starters, the iceberg lettuce was perfectly crunchy and had a nice water content; the bacon on the other hand wasn’t overly crisp, but was indeed tasty and the flavor of the bacon was strong throughout the salad. The crumbled bleu cheese added a different texture that played well with the textures of bacon and lettuce; the taste of the cheese was a very powerful element as well, that was only enhanced by the dressing. Another plus for this salad was the size of the serving; the mixture of size and taste is always a good thing and Melt knows how do give you a good balance. So if you are looking for a healthier alternative for lunch or dinner, Melt’s Wedge salad is unquestionably the way to go. Posted on June 3, 2015 by ACR	• This entry was posted in Salad and tagged Bacon, Cheese, Iceberg, Melt, Salad, Wedge. Bookmark the permalink.